Thank you for completing our survey - this is what you did! 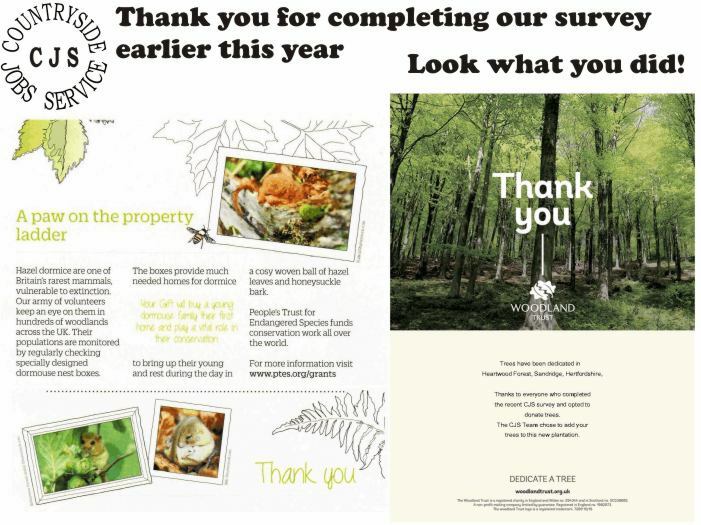 Thanks to everyone who took the time to complete our short survey earlier this year. We've now sponsored some trees with the Woodland Trust and provided a home or two for dormice with PTES. Watch out for our big reader survey coming this autumn with chances to win lots of goodies and by taking part we'll sponsor / adopt more good things.